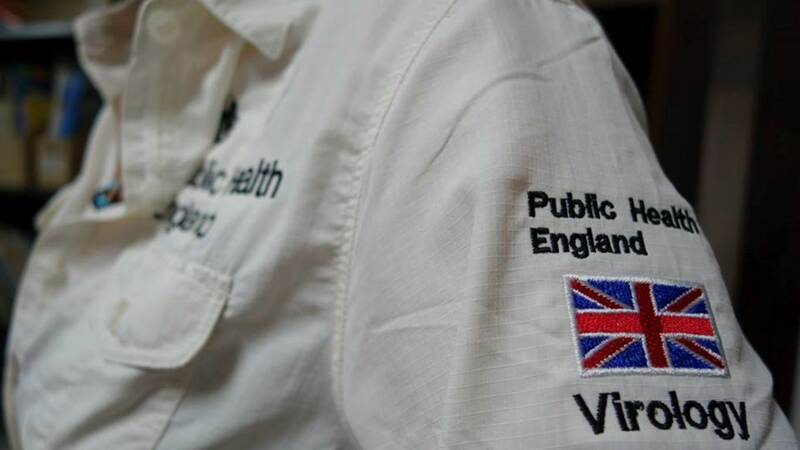 This week we published our Capability Statement which outlines how Public Health England can help low and middle income countries strengthen their public health capacity and respond to outbreaks and emergencies. Of course, in a perfect world, all countries would have a well funded, evidence-based public health system managed by highly trained specialists. State of the art disease surveillance techniques, communication skills and emergency response capabilities would enable seamless national and international coordination and allow the rapid management of day-to-day challenges, outbreaks and emergencies. But we are not in a perfect world. 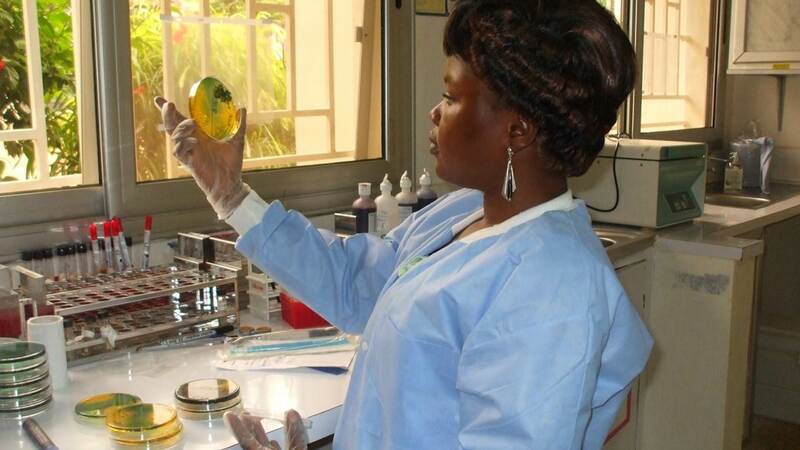 Antimicrobial resistance, coordination challenges during international disasters and the recent outbreak of the Ebola virus disease have all shown that infectious diseases and emergencies can make an impact across borders and even across continents. We’ve blogged in the past about why global health matters to an English health organisation. There is a humanitarian imperative to prevent death, disease and disability around the world and we also have a commitment to protect global health security through the WHO International Health Regulations. This means countries working together to tackle certain infections at source and stop cross-border spread evolving into global pandemics. This is where the skills and expertise of the scientists, researchers and practitioners at PHE comes in. From muddy boot epidemiologists to data analysts crunching numbers behind the scenes, PHE professionals have skills that can be put to use in many situations. We have expertise in chemicals, radiation, environmental hazards, microbiology, communications, non-communicable diseases, disaster risk reduction and policy development, to name just a few. 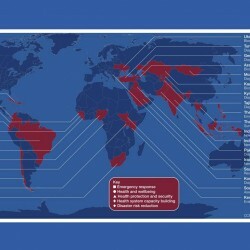 We’ve worked across the globe on a wide range of programmes from communications development in the Virus Research Institute of Uganda to strengthening of health systems in the Caribbean to help them address antimicrobial resistance (see below for a map providing examples of who we've worked with). The West Africa Ebola crisis called for an international response, including a vital contribution from PHE, but many people may be less aware of our role in other very serious public health emergencies such as Typhoon Yolanda (Haiyan) in the Philippines. 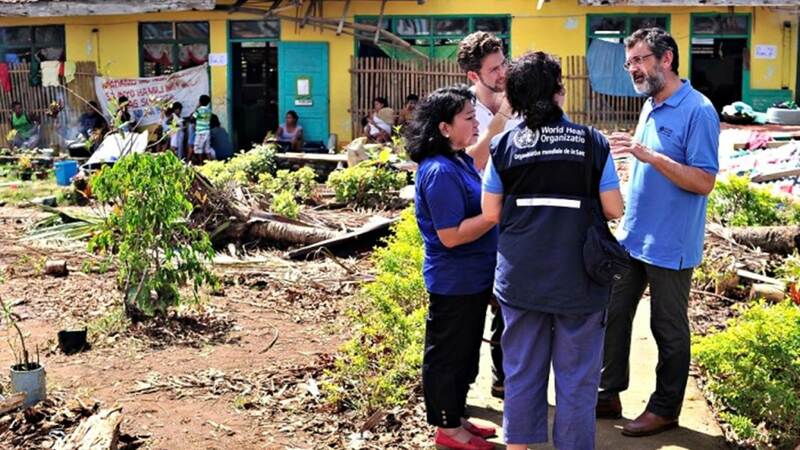 We mobilised a mixture of senior epidemiologists, microbiologists and infectious disease surveillance and control experts in the immediate aftermath of Yolanda to develop plans to tackle the outbreak of disease such as Dengue fever. The team worked with the WHO country office and given the scale of the disaster we were asked for further support in team leadership, logistics and public health recovery and rehabilitation planning. Our ultimate aim of international work is to improve and protect health globally. We do this in a range of ways including seconding specialists on short or long term placements, supporting remotely with technical advice, undertaking research and sharing our work. Working closely alongside our global partners is really important to us and has led to the establishment of a number of valuable international collaborations. As the world becomes more and more interconnected, it is essential that we continue these partnerships so we remain alert to the risks of new and emerging health threats. The opportunity to work overseas has brought many benefits to our staff and to our organisation. Our staff highly value the opportunity to work with new teams and develop their professional capacity and learn new skills. Long term friendships have been established and new languages learnt. So, what next for PHE? Well, we will continue to be active members of the global health community, hosting eight WHO collaborating centres, managing numerous research partnerships and maintaining our membership of the Global Outbreak Alert and Response Network and the Global Health Cluster. We are under no illusion that major public health issues are going to vanish overnight. However, the more we work together, the better we will become at tackling, addressing and reducing the many challenges that lie ahead. We will also continue to learn a lot along the way.